Member of: UN, AU, AfDB, G77, East African Community, Commonwealth, IAEA, ICAO etc. The Ugandan government regularly outspends neighbouring countries on the development of its armed forces. The threat of spill-overs from conflict in South Sudan and the DRC has forced the country to ensure it has a well-equipped and professional army. President Yoweri Museweni has also been working to ensure that the country is regarded as a military giant in the region ever since the introduction of a new government security policy in 2001. During this period the government was also facing a major threat from the Lord’s Resistance Army (LRA) which only ended in 2006. Considering the geographical size of Uganda the country has a relatively large army. The military is also well equipped with some of the latest technologies. Soldiers undergo rigorous training as the country boasts a number of advanced training facilities. Since the country’s 2007 African Union Mission in Somalia (AMISOM) deployment to battle Al-Shabaab, the army has acquired valuable experience in counter terrorism and urban warfare. The United States of America (USA) also regularly provides training to Ugandan forces to enhance their capabilities within AMISOM. This includes training on improvised explosive device (IED) detection and explosive ordnance disposal (EOD), much of which has proved very valuable in countering Al-Shabaab in Somalia. Uganda’s army stands as a powerhouse in the region and allows the country to punch well above its weight. It has also allowed the country to take an active role in the region and continent as its army has a well established reputation. External • Uganda faces a threat externally from the Allied Democratic Forces (ADF) who operate in the eastern Democratic Republic of Congo (DRC). The ADF is known to move between the two countries. Internal • Internally Uganda has to deal with the threat of possible attacks by Al-Shabaab cells, as the Somalia-based militants have threatened to attack the country. Regional	 • At a regional level Uganda faces instability to the north with ongoing violence in South Sudan, and sporadic violence in eastern DRC is also problematic. • Gunmen from the Central African Republic have attacked targets in Uganda on several occasions. • Communities along the borderline of Rwanda and Uganda have for decades been involved in bloody land disputes. Political • Politically Uganda is relatively stable; president Yoweri Museweni has been in power since January 1986. 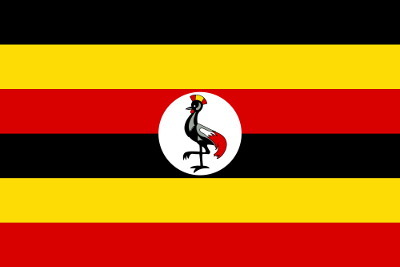 • Uganda’s anti-homosexuality laws have angered foreign supporters and resulted in the suspension of aid. Economic • Uganda has lots of fertile land and mineral deposits giving it a strong economy, generating regular growth year on year.